Award-winning, purpose-built conference venue, on a quiet mews by Cavendish Square & Oxford Street. 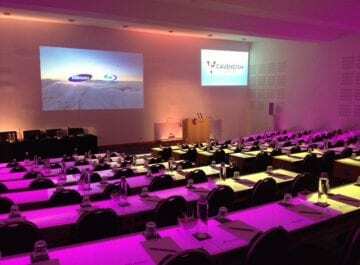 Near the BBC and between The Langham & Harley Street, the bright, tiered seated Auditorium boasts tables for all delegates and large ceilings 5 metres high – ideal for AGMs, financial results presentations and product launches. 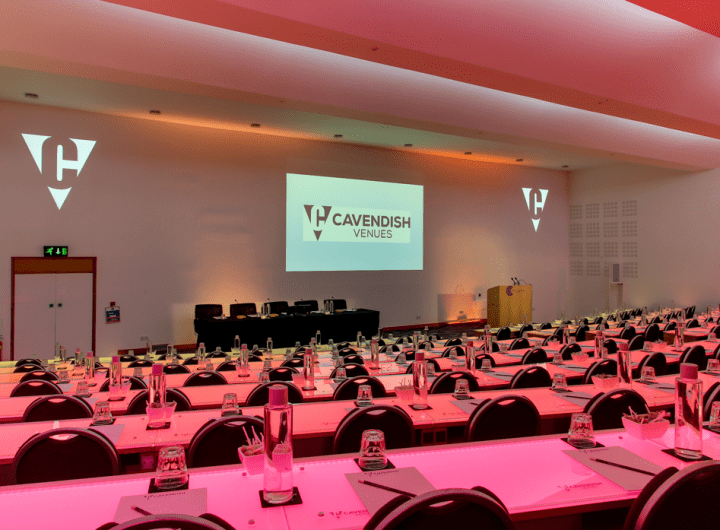 Popular for comfortable, self-contained exclusive venue hire, the Cavendish Conference Centre also features interactive web-streaming audiovisual facilities. All our venues are designed around the needs of you, the event organiser. They maximise natural light and include air conditioning, on-site catering and some of the best technical facilities in central London. We also have an incredibly experienced events management team. From booking right through to the event, our clients have a single point of contact who is always on hand to assist. The fact that over 93% of our business is repeat reflects the superb attention we give to our clients at our venues. We know that good catering can be essential to the success of your event and that’s why at our conference venues all food is prepared on-site by our team of experienced caterers. Sustainability & environmental responsibility have always been central to the way we run our London conference facilities. We were outright winners of the Visit London Sustainable Venue of the Year Award 2009/10 and came second in 2011 (the last year of this award). We are now able to offer you completely Carbon Neutral events by offsetting the carbon generated by your conference and delegate travel. Use our Carbon Calculator to discover your event’s carbon footprint. We use socialtables powerful floor-planning software to help you create the perfect room layout for your event. Experiment with different virtual room configurations ahead of your event so that everything runs smoothly on the day. We’ve created scaled diagrams that can be shared with everyone involved, from catering to tech support to ensure that rooms are setup to your precise specification.